Link Building Services: How Long to Boost Your Rankings? So you’ve got a company and you need to increase its search engine rankings. There are plenty of methods that you’re no doubt familiar with, like keyword lists or social media visibility. You’ve considered purchasing backlinks but perhaps held off on pulling the trigger, thinking that Google’s recent algorithm tweak changed the effectiveness of that strategy. Before, buying backlinks meant you’d purchase a bundle of links to tons of sites, effectively spamming the internet with your content. Google adjusted for that, and who can blame them? What company wants to be associated with spam? What really matters in the SEO field now is the quality of backlinks. Your company needs to be associated with high-ranked and valued pages. That’s where purchasing quality backlinks really helps. Getting on reputable sites is key. Now you’re ready to get on board and purchase backlinks but the real question is when will you see a return on your investment? The short term answer? Up to 10 weeks. The long term answer? Six months to a year. If you think that sounds like a long time, you’re missing the point of growing your page’s visibility. Let’s clarify and dig deeper into what’s needed to really boost your rankings. Every campaign needs a solid strategy. You can’t skimp on the crucial gestation period and you need to build it into your timetable. What’s involved in realizing maximum results? First, take a hard look at what your company offers and how you can make this into something web-friendly. Bring your co-workers together to really brainstorm – you’d be surprised what you come up with. Do you have definitive expertise in something? Writing an instructional blog post is one of the surefire ways to create a quality page. Creating media like a video or an infographic is another great way to generate links organically but also create a unique post that grabs eyeballs. 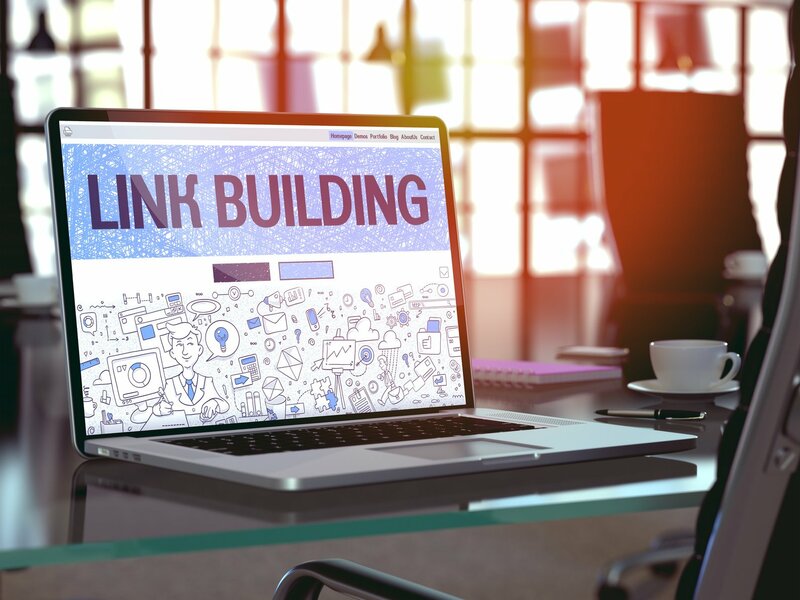 To get the most out of link building services, you need to make sure you’ve got the material to present your company in the best light possible. It can’t be stressed enough how vital it is to take time crafting quality, linkable information and resources. Make sure you account for this time when you’re planning your SEO strategy. Once you’ve got your pages where you want them (high-quality, clickable content), your next step is to purchase the backlinks. The benefit of a link building service like Backlinks is that we’ve got 10 years of experience to back us up, making us one of the most trustworthy and qualified companies. You can even browse our inventory to see where your content is going – all you need to do is register for a free account. Search for the specific keywords and categories that work best with your brand; Backlinks will provide you with plenty of trusted partners that will boost your SEO. Once you’ve got it set up, this is where you should expect to see that initial bump in ratings in about 10 weeks. You might think this is quite a while to wait but you need to start thinking long-term. While things on the web seem to go fast – it’s so easy to get the latest video or click “like” on a post – in truth, brand-building takes some time. And it’s completely worth it. In fact, don’t just consider this waiting period “down time”; there are things you can do in the interim to improve your rankings even further. Your content is fine-tuned and flawless and you have your secret weapon (a trusted partnership with a link building service) in place. While you could technically wait around to see what happens, you should use this time to supplement your strategy. Ultimately, think of the reason your company created an online presence and purchased backlinks – you’re looking to connect with your audience. Make it easy for them to find you and make sure they want to come back. There are plenty of easy ways to reach out to your target demographic; make sure you use them all to your advantage. First and foremost is reaching out on social media. If you’ve ever visited a company’s social media account and found it hadn’t been updated for months, then you’ll know why it’s important. Keep your pages – Facebook, LinkedIn, Twitter, anything that you use – completely up to date. Link to every post you create and keep posting. This is simply the easiest way to build a connection with your customers. That being said, don’t spam your own site. Don’t create posts just to create posts – remember how we talked about quality before? Clickbait is definitely out – it’s been done to death. Your company’s website should be all about what you have to offer – not about some random viral nonsense that has nothing to do with your brand. It’s also vital to have a mobile version of your site. Mobile site traffic has grown in leaps and bounds over the past few years. It’s probably the main way your target demographics reach you. Remember – don’t just sit around during the downtime; if you want to be successful, use every resource available. So, How Long Will It Really Take? Again – remember that this is a long-term strategy and won’t yield instant gratification. Expect to see a real difference in about six months to a year. It’s not an automatic process and you can do things in the interim to help your rankings rise. Crafting your perfect plan of attack – quality content and worthy partnerships are key. Implementing your strategy – here’s where you open the floodgates. You’ll see an initial bump at this stage. If you needed a reason to get started now, consider this your wake-up call. It’s going to take a while to get to where you want to be with this strategy, but with all things in life that take time, it’s worth it. So what are you waiting for? Put this plan in place and watch your rankings soar!